Why did I receive a letter from Equian? After receiving medical treatment for an injury, it’s normal to receive a letter from a third-party subrogation company, such as Equian (or Rawlings, Optum, First Recovery Group, etc. ), on behalf of your health insurance company. Equian (or one of these other companies) is contacting you to find out how you got hurt. If you were hurt in such a manner as to create a personal injury claim or a potential lawsuit (for example, a car accident, a work injury, a slip-and-fall accident, etc. ), Equian wants to know, because your health insurance company might have a right to be reimbursed out of your settlement. Should I respond to Equian’s letter or call them back? Whether you have a duty to respond to Equian after receiving such a letter is going to be spelled out in your insurance policy with your health insurance company—a document you probably never read. If you weren’t hurt in any sort of accident, you’re probably safe to call and let them know, at which point they should stop sending you letters. If you were hurt in an accident that might be someone else’s fault, you should immediately give Equian’s letter to your attorney. If you have a lawyer, you should not be contacting Equian directly. Additionally, you want your personal injury attorney to be aware of Equian’s letter, because failure to properly consider your health insurance’s lien against your settlement can have devastating consequences to both your case and your finances. If you were hurt in an accident but don’t have an attorney, you should hire a personal injury attorney to contact Equian on your behalf. Our personal injury lawyers work on contingency and only get paid if we get you a financial recovery, We represent injured victims throughout Western Pennsylvania, from Pittsburgh, to Erie, and all the way to Bradford and Smethport. What if I don’t want to sue the person who hurt me? Equian can’t make you sue somebody if you don’t want to sue them. That said, it is still a good idea to talk to a personal injury attorney before talking to Equian. You need to be aware of your rights and responsibilities regarding this accident, your treatment, and your medical bills. Our law firm offers a free consultation that can be either over the phone or in person—you decide! Give us a call today at 814-452-6232. If you order a full copy of your long-term disability policy, you will most likely finding a clause that requires you to file for Social Security Disability. Failure to do so can often lead to your benefits being terminated, so it’s important to stay on top of this and find a skilled Social Security Disability lawyer to help you through the process. Although applying for Social Security Disability is most likely in your best interest, your insurance company requires you to apply for a very selfish reason: it reduces the amount of benefits the insurance company needs pay you (directly), because most policies allow the insurer to take an offset for any benefits paid to you by the Social Security Administration. As a practical matter, this offset is dollar-for-dollar, so you still receive the same amount of money at the end of the day: it just comes from two different sources (one check from the insurance company, and another check from the Social Security Administration). Be careful, though: if you win Social Security, your insurance company will most likely be entitled to all your past-due benefits. Be careful not to spend the past-due benefit check (however tempting it might be) and to check your policy to be sure who owns the money. Can I hire my own Social Security Disability Lawyer if I’m on Long-Term Disability Insurance? If you’re receiving long-term disability insurance, you are most likely being inundated with solicitations and letters from various “advocacy groups” offering to help you file for Social Security Disability benefits. Please be aware that you do not have to hire these groups: you can and should hire your own lawyer to look out for you and your rights. These “advocates” are disability mills and do not care about you, your family, or your case. They enter into contracts with insurance companies and do mass volume work. You won’t meet your “lawyer” until the day of the hearing and you’ll never speak to the same person twice (in fact, you’ll spend most of your time navigating phone menus and waiting “on hold”). When these companies lose your case, they’ll cut you loose and so will your insurance company, leaving you holding the bag. Instead of calling one of the groups that sent you a letter, call our Erie, PA Law Firm instead. What will it cost to hire my own lawyer? If you’re receiving long-term disability insurance and your insurer is requiring you to file or Social Security Disability, it likely won’t cost you anything to hire our law firm. Because we typically work on a contingent basis for a portion of your past-due benefits (nothing from your ongoing benefits), and because your long-term insurance carrier is most likely entitled to your past due benefits, our fee ends up coming out of the insurance company’s pocket—not yours. If you’re on long-term disability insurance need to apply (or have applied) for Social Security Disability benefits, you should call our lawyers today at 814-452-6232. We can help protect your rights and make sure your case is handled the right way. If you’re undecided, we offer free consultations. This evening, February 21, 2019, Attorney Matthew Lager will be guest bartending for the Erie County Historical Society‘s “Battle of the Barristers” at Room 33 Speakeasy and Cafe, 1033 State Street, Erie, PA. This event is a fundraiser for the Erie County Historical Society and Room 33 has generously agreed to donate 11% of the bar and food receipts from 4pm-8pm. The event runs from 5:00 p.m. to 8:00 p.m. You can find Attorney Lager bartending from 6:30 p.m. to 7:15 p.m. Please come, buy a drink, and tip generously (so Attorney Lager can win)! There will also be prizes and a number of familiar faces (and judicial candidates) in attendance! Should I call the police after a minor car accident? 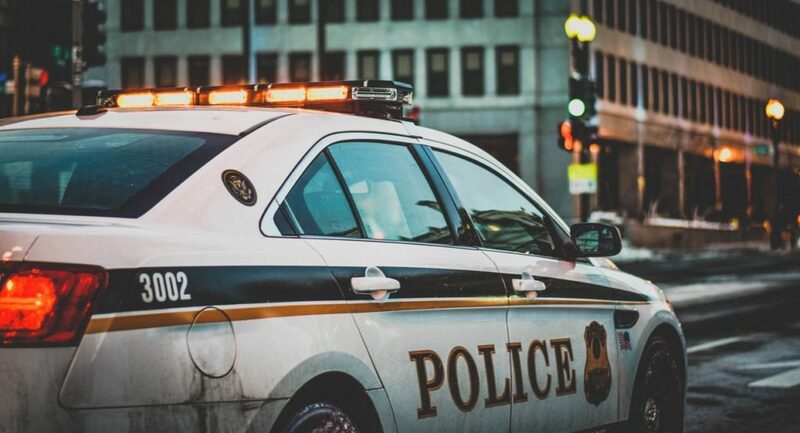 As Erie, PA car accident lawyers, we frequently get asked, “should I call the police after a minor car accident?” Without knowing anything else about the crash, we can confidently state that you should always call the police after a car accident, even if the damage to the vehicles was minimal and if even if you think nobody was hurt. As you sit there in the moment, you simply aren’t equipped to properly assess the situation. Police are. Let the experts do their work. Sometimes you don’t know you’re hurt until later that day, after your adrenaline wears off. Sometimes, people that admit fault on the scene later lie to their insurance companies. You need a witness. Why should I call the police after a car accident? The most important thing the police do after responding to a car accident, after making sure everybody is okay, is protecting evidence. The police will gather insurance information, get statements, and attempt to piece everything together while the accident scene is fresh and before things have been tampered with or moved. This helps keep all the parties honest: too frequently, at-fault parties will admit fault on the scene of the accident, only to later deny fault to their insurance companies after they’ve went home. You simply cannot rely on people to be honest. Moreover, it’s good to have an independent witness (the police officer) on the scene to remember what everyone told them. Although you’ve probably never read your entire car insurance policy, as personal injury lawyers, we have! If the person that hit you turns out to be uninsured, and you pay for uninsured motorist coverage, your Pennsylvania auto insurance policy almost certainly requires you to report the accident to the police as soon as you reasonably are able, else you risk your claim being denied. Making a police report immediately after the accident is the number one way to protect your rights under your insurance policy. The longer you wait, the easier it is to forget to make the report and the more likely your insurer is to deny your claim. After an accident, it’s not uncommon for the at-fault party to become hostile and, sometimes, dangerous. Calling the police is a good way to keep everyone on their best behavior. When everybody knows the police are on their way, they’re less likely to do anything they might later regret. What if the police refuse to respond to the scene of the accident? If the police refuse to respond to the scene of the accident after you’ve called 9-1-1, it might simply be out of your control. Regardless, there will still be a record of your call and a brief report prepared at the station to satisfy your insurance company if the other driver turns out to be uninsured, as described above. This is normal—when they’re busy, police frequently won’t respond to the accident if nobody was injured. Just keep your cool, exchange insurance information, take pictures of the damage (and the license plates), and gather phone numbers of all the witnesses. After a car accident, if you’ve been injured, you should call a Pennsylvania car accident attorney to protect your rights. Our personal injury lawyers have been representing injured victims in Pennsylvania since 1985 and can help recover your lost wages and medical bills. If you would like a free consultation, or just to talk to lawyer on the phone, call us at 814-452-6232. The Erie Personal Injury Attorneys at Bernard Stuczynski Barnett & Lager are dedicated to working with and supporting our local community. We want to keep Erie beautiful, which is why we support and encourage our longtime office manager, Carol Witherow, in her endeavor as a volunteer LEAF (Lake Erie Arboretum at Frontier Park) board member. LEAF recently celebrated its 14th Annual Winterfest at Frontier Park, a free event that is open to the public. 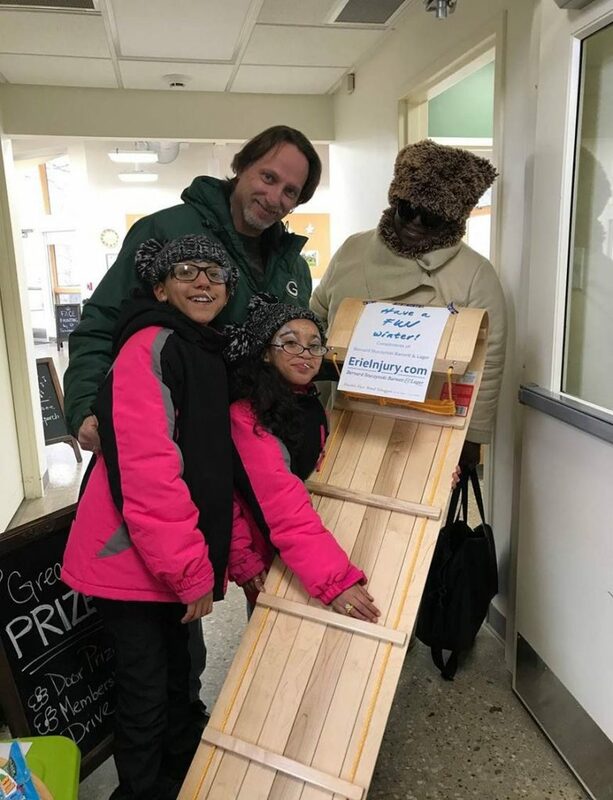 To support this event, our law firm donated a toboggan as a prize for event-goers. Pictured to the right are the winners of the our toboggan! Congratulations! At Bernard Stuczynski Barnett & Lager, our Erie, PA law firm handles a large number of SSI cases. In this practice, our lawyers frequently see issues with SSI recipients losing their benefits due to joint bank accounts with boyfriends, girlfriends, or other significant others and family members. If you receive SSI benefits, it is almost never a good idea to share a bank account with anyone other than your spouse. In this article, I will briefly explain some of the issues with co-ownership of bank accounts and SSI benefits. 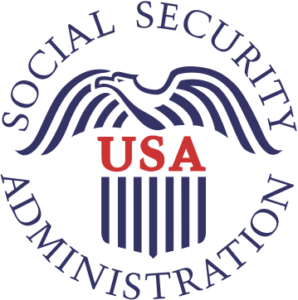 Please note that this article applies only to Supplemental Security Income (SSI) benefits, not Social Security Disability Insurance (SSDI) benefits. 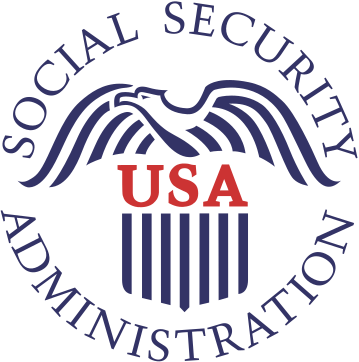 Supplemental Security Income is a needs-based program where entitlement to benefits is based partially on financial eligibility, whereas Social Security Disability Insurance is a work-credit based system that has nothing to do with your assets, only your work history. Social Security Disability beneficiaries are free to share their funds with whomever they desire. If you are unsure whether or not you are receiving SSDI or SSI benefits, and are considering a joint bank account, you should consult with an attorney first. 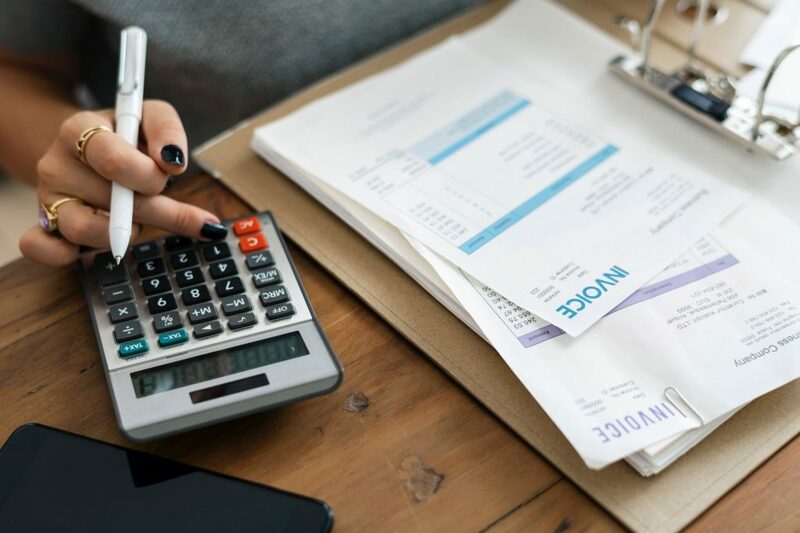 In addition to being disabled, in order to qualify for SSI benefits, you must meet certain financial eligibility requirements as to your “countable resources.” This not only includes your income, but also resources that are available to you, not counting certain excludable resources. If your countable resources ever exceed the total allowable amount, you will become ineligible for SSI and potentially other welfare benefits, like health insurance and food stamps. When you chose to open a joint bank account with another individual, the Social Security Administration presumes that you share ownership of these funds. When your co-ownership of this bank account is discovered, if your personal funds in addition to the shared funds exceeds the total allowable amount, you will be kicked off your SSI benefits. When that happens, it is almost always advisable to immediately get separate bank accounts so this problem does not continue occurring. If you find yourself having your SSI benefits terminated due to the co-ownership of a bank account you should contact an attorney immediately, as it is sometimes possible to rebut ownership of a joint account. In order to do this, you must be able to prove that the funds in the joint account were not available to you personally. This can be extremely difficult. While our firm has had success rebutting ownership of funds in a joint account, it is by no means the norm. Regardless, it still makes sense to speak with an attorney to determine whether or not this is possible in your case. It is imperative that you follow this advise and never open a joint bank account with another individual without first consulting with an attorney if you are in pursuit of SSI benefits. We have seen situations where people fought years for SSI benefits, won in front of an administrative law judge, only to have their claim later denied due to a joint bank account opened with a significant other several years prior. This can be tragic and often times irreversible. Even worse, sometimes the Social Security Administration does not notice that you have this joint bank account for several years after they have been paying you SSI benefits; this can lead to what is called an “overpayment,” where Social Security comes after you to be repaid all the benefits they have paid to you. We have seen situations where Social Security is claiming they are owed upwards of $20,000.00. if you find yourself on the receiving end of an overpayment, you should contact a lawyer immediately to discuss your options. One common pitfall where individuals wrongly think its okay to have a joint bank account with an SSI recipient is when said individual is a payee for a disabled person receiving SSI benefits. Even if you are the payee for a disabled SSI recipient, you should not co-own a bank account with the disabled individual, as doing so can cause the disabled individual to be kicked off their SSI benefits should the funds in that bank account end up exceeding the amount of allowable countable resources for SSI recipients. This can be an innocent mistake with tragic results. In short, it almost never a good idea to have a jointly owned bank account if you are an SSI recipient or are co-owning a bank account with an SSI recipient. If you believe your situation is unique, you should strongly consider consulting with an attorney before opening any joint bank accounts to determine whether or not doing so will affect your entitlement to benefits. 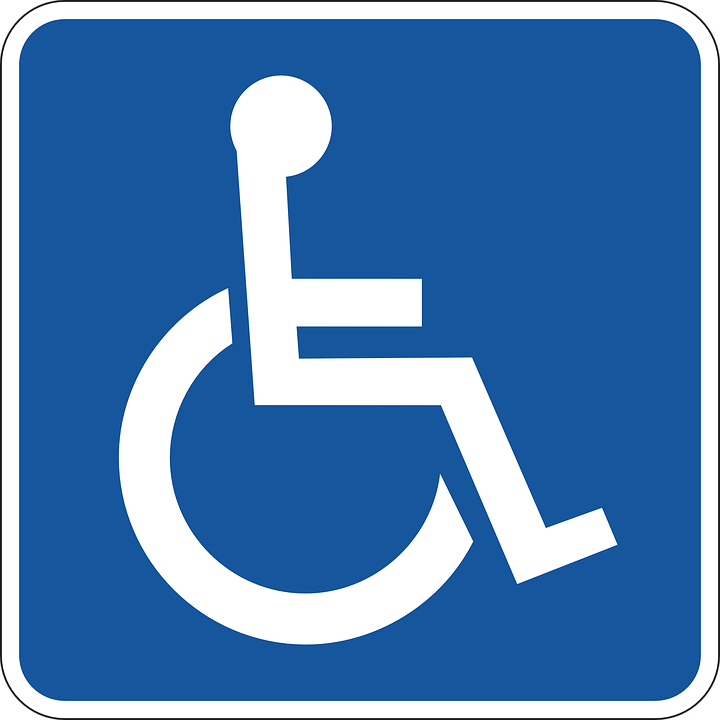 If you are in the process of looking for a disability lawyer, call our Erie, PA Disability lawyers for a free consultation at 814-452-6232. For years, the insurance lobby has been spending millions of dollars to convince Americans that civil lawsuits are largely frivolous. This lobbying has been so successful, that most of our clients say things like, “I know most lawsuits are frivolous, but not mine—I’m really hurt.” The truth of the matter is, while there exist some silly lawsuits, most are legitimate and serve the greater purpose of protecting the public and compensating innocent victims. Our Erie, PA personal injury attorneys have been helping innocent injury victims put their lives back together since 1985. If there’s one thing we’ve learned over the years, it’s that there’s nothing frivolous about asking insurance companies to pay fair value for your lost wages, lost loved ones, and disabling injuries. Don’t be fooled. If you’ve been hurt by someone’s negligence, call our Erie law firm today for a free consultation with one of our experienced lawyers. As Americans, our work defines us. We’ve given our lives to our trades. We pay into our system so those of us who get hurt won’t be left behind. Is just as important as where you turn. ErieInjury.com: Erie’s Social Security Disability Attorneys. If you have questions about Social Security Disability, our attorneys can help. Call us for a free consultation. Attorney Matthew Lager named in Erie Reader’s 2018 “40 Under 40”! 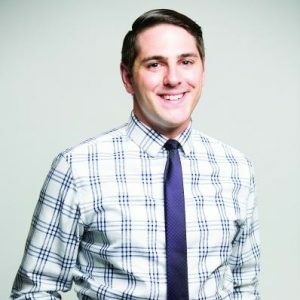 We at Bernard Stuczynski Barnett & Lager are excited to announce that our own Matt Lager, our firm’s youngest partner, was named in Erie Reader’s 2018 “40 Under 40” list, which is a list of notable young people who have been making a difference in Erie, Pennsylvania. Every year, Erie Reader releases this list of individuals under 40 who are making a difference in our community, taking risks, starting businesses, innovating, and helping drive Erie’s resurgence. This year, Erie Reader received a record-high number of nominations for individuals who are deserving of this recognition, so we are proud to announce that Matt has made the cut. 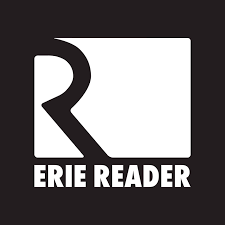 Take a look at his Nomination in the June 20, 2018, issue of Erie Reader, available throughout Erie, or online on their website at ErieReader.com. Matt’s legal practice focuses on Car Accidents, Workers’ Compensation, and Social Security Disability. He has previously received Pro Bono awards from The Pennsylvania Bar Association, the Erie County Bar Association, and Northwestern Legal Services for his dedication to pro bono work in Erie County.